Purchasing a website is a big deal. 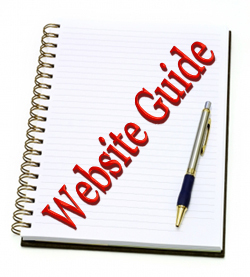 Once you have a website, it is in the best interest of your business to stick with that particular website. So, you need to carefully choose a website company that you feel comfortable being with for the long haul. If you pick the wrong company, they can make your life a nightmare. I have two personal stories for you that drive home that point. I have a client who paid over $1,000 each year for his website to AT&T. Each. Year. Now, you may think that’s not such a big deal and even now you are in the exact same process. If you are, let me be clear here: you are being bamboozled. My client, just like you, was paying over $1,000 each year to rent a website when he could spend that much once and OWN his own website! When I mentioned this to him, you can imagine his surprise and delight at first, and then his outrage later on that he had been paying more money to rent a website than he would have had to pay to own a website outright. He immediately wanted to switch to our website services and so we did. However, it wasn’t that simple. AT&T owned his website, his content, and his domain name. To my great surprise, they were going to release the domain name to us (in my experience this is rare) but we had to apply for a domain name transfer. The transfer took over a week, which meant his website was down for that period of time. Now, this client through his own hard work and through my help as well ranks incredibly well on Google and other search engines and I think he would tell you that the majority of his business come from search engines. That means, for a whole week, he lost out on probably thousands of dollars, maybe even tens of thousands of dollars, all because he had to switch website companies. And in his case, he was extremely lucky. The process could have taken even longer or they could have held onto his domain name. See, most companies that rent websites will not give you your domain name. Had we not been able to secure it, he would have lost ALL of his ranking completely, crippling his main source of revenue. Are you starting to see how important it is to make sure you pick the right company right off the bat? The last story was a story that is honestly fueled by corporate greed, in my opinion. This story, however, is about the local website guy. The guy who you may know of through a friend of a friend, or a family member, who may or may not have a legitimate business. The guy who can put your company in a bind, QUICK. I have a client who went through a local website guy and the local website guy actually owned his own company. The relationship was amicable for awhile but then they started to notice severe lags between times when changes were requested and when those same changes were completed. They also started to notice their website would be down every once in awhile. This was particularly tough on them because they ranked #1 for every major keyword on Google in their respective business market. So, when customers were searching for them and found them, their website was down. Not only were they not able to capitalize on those potential customers but it ruined their brand image. If your website is down, potential customers relate that to the quality of your business (whether right or wrong). If your website is down, it says something about you. So, not only was he costing them business by turning away potential customers, he was ruining their image as a quality business as well. Well, my client decided enough was enough and wanted to switch companies. So, I asked them whether they owned their website, content, and domain name. They had no clue. When I took a look at it, I was doubtful that they owned any of their website, content, or domain name. It was even more doubtful that even if they did own the website, whether they could get it from him in the first place considering his aversion to communication. In fact, my client was so tired of this local website guy that she just wanted to buy a whole new domain, content, and everything, costing her a lot of money. However, I explained to her that her domain name was worth thousands of dollars because of all the work we had done to it. She was so fed up with him, that for a time she didn’t even care, she was willing to take the hit and move on. But, knowing how valuable the domain name was, I convinced her to make an attempt to get it from him. We’re currently still in the process of trying to obtain the domain name. The local website guy registered the domain name under his own personal name which means that legally, the domain name is his. He owes them no legal right to the domain name that I would conservatively estimate at being worth between $3,000 – $5,000 because of its ability to bring in new business and the amount of money we’ve spent on building it up in the Google rankings. At this point, losing that domain name would be devistating to her business. I hope this starts to shape how important choosing the right company is. So, how can you avoid being swindled? How do you make sure you choose a company that is going to not only provide you with an excellent service but also the ability to walk away with everything intact if need be? You need to find a company that has a website service with these 5 traits: Practicality, Functionality, Flexibility, Beautiful Design, and an excellent SEO service. Strangely enough, practicality put me on the path toward writing this blog today. As an SEO (Search Engine Optimizer) I work a lot with my clients’ websites. There are the rare companies that make this easy on me and there are the all too common companies that make this extremely difficult. In this particular instance, all I needed were a few simple changes, changes that take me 5 minutes to make on any website that our company creates and changes that would only take 10-15 minutes for my clients to make to their own website themselves (our service is so simple, our clients can make changes to their websites on their own). It took this particular company over 30 minutes just to tell me not only could I not make these changes myself but they couldn’t either, that they would need to put in a support request to the coders to make the changes. By the way, 20 of those 30 minutes were spent on hold or calling them back because they dropped my call twice. This is the same company that just a few months ago took so long to make a few simple changes I requested that I was able to get my client their website service for free for two months. The Issue: I say all this to make a point: find a practical website company. A website company that has a system where you can easily make the changes yourself and the company has a great response time of between 24 – 48 hours for more complicated changes or changes you don’t have time to make. The Solution: Ask the company for a tour of the system they use to make changes. Note how user friendly it is. If they don’t have a tour, ask if they have a mock website for you to play around with. The Issue: The website needs to function well. It needs to have a 99% uptime, load pages fast, etc. Every company is going to claim that they offer this as it is very basic. However, you would be surprised at how many companies manage this poorly. The Solution: Ask for contact information to references. Ask if these references receive any financial benefit for being a reference. If they do, ask for the contact information of a reference from someone who doesn’t. If they won’t provide one, you can find one. Almost every company puts a link to their own site on the websites they design. Just Google the website company name and snoop around. Find a business that uses them and call that business. The Issue: This may be the biggest trait. Your website company should be flexible. They should allow you domain name and content control. Possible even hosting control as well. This allows you to own everything associated with your website and if the relationship heads south quick, you retain control of your website. The Solution: Tell the company you will be purchasing or have purchased your own domain name and hosting. Ask if they will be able to accomodate this. If they won’t allow you to own your own domain name, that is a red flag. However, if the hosting is an issue, you’ll need to make your own decision on that. If you really like the company besides this one fact, I wouldn’t let it stop me. Just make sure it’s understood that you own everything having to do with the website. Content and domain name. The Issue: I worked for a guy once that had the first 30 minutes of every single day dedicated to straightening our showroom because he knew that if the showroom was unkempt, no one would stick around long enough to buy anything. Your website is your online showroom. If the design of your website looks terrible, just like in a real showroom, customers won’t stick around. Beautiful and attractive website design is of paramount importance. The Solution: Take a look at the websites in your industry and location. Then, take a look at the websites in your industry in a much more populated location. These websites will probably be on the cutting edge and may represent something you want to shoot for. It might be good for business to have a website that blows everyone else away but also works for your respective niche. Finally, you should have a good picture of what you want and then see if the company provides what you’re looking for. You can ask to see samples of their other websites. The Issue: Your website is a 24/7 salesman. It’s never late, takes breaks or vacations, or calls in sick. It works all day, every day and never needs to be managed, encouraged, or motivated. It is your single most profitable sales tool, period…IF you rank well on Google. That’s what SEO does. SEO stands for Search Engine Optimization. SEO optimizes your website to show up as high as possible on Google which gets you the attention of potential customers. In my opinion, if you’re not ranking on Google, you’re wasting money on a website. When people are looking for a local service or product, 9 out of 10 will use a search engine to find it. You do the math. The Solution: Just as with Functionality, go through the reference process. You might not want to ask for references from the company on this one. Do the legwork to find your own references. When it comes to SEO, the company will definitely put their best foot forward. You can also ask to see the search engine ranking reports that they give their clients, something they should be doing. If they’re not doing this, that’s a red flag. What company doesn’t report to their clients their results? If you can find a company that offers the five traits above, you’ve found a winner. Stick with them, treat them well, and make sure they stay in business. Refer them out and get them more customers and make sure they have a referral program too. You brought them money, you should get a cut as well. This is pretty straightforward, we recommend Tutelary Marketing. Everything we just described and told you to look for in a company, we have..and more. Check out our website services and watch the video on the page to learn more.